On this episode of Drugwatch Podcast, I am joined by Dr. Michael Carome, director of the Health Research Group (HG) at the public advocacy group Public Citizen. Public Citizen is a voice for the people in the nation’s capital and has been fighting for the interests of the American people since 1971. One of the areas Public Citizen is very active in is challenging the abusive practices of Big Pharma. The group fights to get dangerous drugs off the market and challenges the U.S. Food and Drug Administration’s process for approving drugs and medical devices. Over the years, the group has been successful at getting Washington and corporations to pay attention and make choices that would benefit the people. As patient advocates ourselves, we at Drugwatch salute and appreciate Public Citizen’s great work to make drugs and devices safer for the public. On Part I of this two-part episode, Dr. Carome joins us to discuss dangerous diabetes drugs and hip implants, as well as the policies and regulations of the U.S. Food and Drug Administration (FDA). With the number of Americans diagnosed with type 2 diabetes increasing, the need for effective treatments is also increasing. The most popular way to treat type 2 diabetes is by prescribing medications. However, often, it seems as if the race to create the latest and greatest drug may come at the cost of safety. Many of the new drugs released in recent years have not always been the safest. One of the newer drugs on the market is Victoza (liraglutide). Public Citizen petitioned the FDA to ban the drug in 2012, pointing to studies conducted in animals that showed a risk of thyroid cancer. “Because of this signal of cancer, the FDA’s own pharmacology reviewers concluded that it should not be approved,” Carome said. However, the FDA approved the drug anyway, ignoring the recommendations of its own reviewers. There is also evidence that the drug causes pancreatitis, as well as the possibility for pancreatic cancer. According to Carome, the entire class of drugs called incretins may carry the same risks. Other drugs in this class include Byetta and Januvia. Another one of the drugs Public Citizen has been fighting to get off the market for years is Avandia. Since the drug became available in 1999, it has faced scrutiny for safety issues. According to Carome, clinical trials and studies simply don’t support that the drug is more effective than others on the market. Some of these studies even showed that Avandia was inferior in efficacy. The drug was linked to serious heart problems, and Public Citizen urged people not to use it. “We thought it was too dangerous, and its benefits do not outweigh the risk. When you compare Avandia head to head with other oral medications for type 2 diabetes, Avandia was not as effective at reducing blood sugar levels as the other drugs,” Carome said. Other drugs in the same class as Avandia include Actos, a drug that is linked to bladder cancer in studies. Public Citizen testified at FDA hearings, presenting the agency with this evidence in an effort to get the drug banned. The FDA unfortunately denied the organization’s petition. So far, the FDA has not made a final decision on the drug’s safety. While Public Citizen spearheads the fight against bad drugs, it also gets involved in policing medical devices. Most recently, they have been concerned with metal hip implants such as DePuy’s ASR, Stryker’s Rejuvenate and ABG II and Biomet’s M2a Magnum. In addition, they see many problems with transvaginal mesh implants used to treat pelvic organ prolapse and stress urinary incontinence. 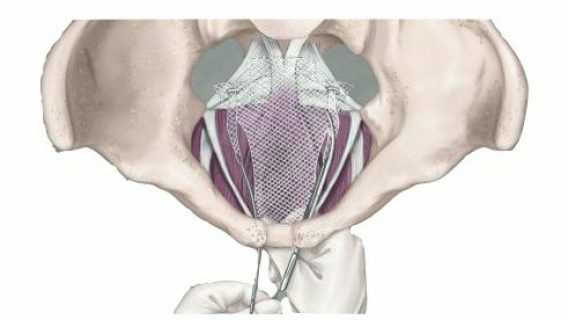 Metal and transvaginal mesh implants have spurred tens of thousands of lawsuits after patients who received them were seriously injured. According to Carome, one of the biggest problems is that many of these devices are classified as Class II devices. The FDA’s 510(k) premarket clearance process allows medical device companies to release devices as long as there is already a substantially equivalent device on the market. This means they do not need clinical trials or proof of safety or efficacy before they are sold. Carome calls this practice an “uncontrolled experiment” on the public. 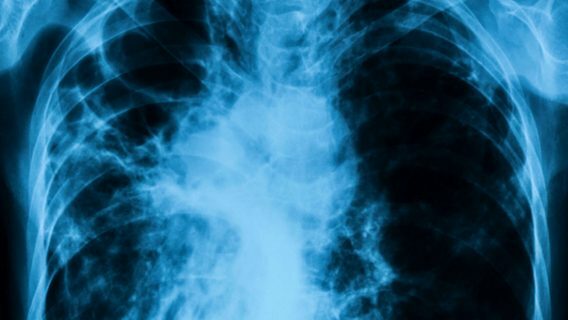 “We don’t think that devices that are intended to be permanently implanted or life-supporting or life-sustaining should ever come to market through this process … and [should] undergo appropriate testing before they come to market,” Carome said. He went on to say that the Institute of Medicine (IOM) was asked by the FDA to evaluate the 510(k) process in 2011. Not surprisingly, the IOM committee concluded that the 510(k) was inadequate to show that devices were safe. Unfortunately, the FDA ignored this conclusion. Welcome to the first Drug Watch Radio episode of 2014. I'm your host Michelle Llamas. Joining me on the first episode of a special two-part show is Dr. Michael Carome of the public watchdog group Public Citizen. Known as the voice of the people in Washington, the non-profit group has been fighting for citizens since 1971. Because of the group, dangerous painkillers like Darvon and Darvocet and diet drugs like Meridia were pulled off the market. In addition to fighting for citizens in the pharmaceutical arena, the group has also challenged the abusive practices of the nuclear and automobile industries among others. 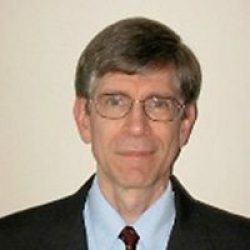 Dr. Carome is a director of Public Citizen’s Health Research Group and is an expert on issues of drug and medical device safety as well as the Food and Drug Administration. He joins me today from Washington by telephone to discuss dangerous diabetes drugs and the FDA approval process. Welcome to the show, doctor. I'd like to let people know who might not be familiar with Public Citizen: when was Public Citizen founded and what is the organization's mission? Public Citizen was founded in 1971 by Dr. Sydney Wolfe and Mr. Ralph Nader when they established the first major policy group within the organization called the Health Research Group, which I am part of. Public Citizen is a non-profit consumer advocacy group and watchdog organization, and we really serve basically as the citizen's voice within the nation's capital. We seek to ensure that all citizens are represented in the halls of power within our government. For four decades we've championed a variety of citizens' interests before congress and the executive branch agencies like the FDA – Food and Drug Administration – and the courts. And we've really been, in doing our work, successful in challenging a variety of abusive practices by drug companies, the nuclear industry, automobile companies and many others. The Health Research Group, which I now direct, is one of five policy groups within Public Citizen. The others are called: Congress Watch Division, the Energy Program, Global Trade Watch and the Litigation Group. Within the Health Research Group we engage in research-based consumer health advocacy and through this work we seek to promote system-wide changes in healthcare policy and medical product safety. Most of our work focuses on drug safety, but we also do a significant amount of work related to medical device safety. We work to have unsafe and ineffective drugs and medical devices either removed from the market, banned or re-labeled with stronger warnings. We will go before FDA advisory committees that are considering approval of new drug products, and those products that we believe are too dangerous to come on the market we will oppose the approval of. We also engage in a lot of public education activities. We educate people about dangerous drugs, dangerous drug interactions through our print newsletter called "Worst Pills, Best Pills" and our online subscription called worstpills.org. I've taken a look at that, and I do have say thank you very much for releasing that information. I talk about this a lot with other advocates. If people are looking for this information and they go to the government site, they go to FDA, that thing is ridiculously difficult to navigate. As a consumer, you're probably looking for certain drugs or other things like that, and you wouldn't easily be able to pull up what you’re looking for on that site. I think organizing the information in a consumer friendly way is definitely more needed, so I thank you for that. You mentioned the drugs and medical devices that you work with. How does Public Citizen research some of these drugs and devices before making its recommendations, and how do you tackle which drugs and medical devices you should advocate for? Because obviously there are risks with all drugs. How do you figure out which ones are probably the most dangerous? There are a number of factors that go into our decisions about what products we focus on. Our research activities regarding drugs and medical devices ultimately involve our own independent analysis of data from a variety of different sources. One of the most important sources of information is review documents that are posted by the FDA on its website for all the drugs that are approved by the agency, and for only a minority of the medical devices that are approved under a process called pre-market approval. These documents usually appear on the FDA website several months after the product has been approved for marketing. For drugs, these FDA documents provide large amounts of data obtained from a wide variety of studies that were ultimately conducted by the drug's manufacturer, and these would include animal toxicology studies, and then, more importantly, human clinical trials designed to assess how the drug is metabolized, what is its safety and what are its benefits. And these studies many times are not published in the medical literature, and they are only available through the FDA website. Even when they are published – many times not with the details that one can find in the FDA review documents. It is also important to note that the FDA review documents contain assessments of the results of these studies by FDA medical officers and statisticians, pharmacologists, drug experts and others. We study those as well but we rely ultimately on our own independent evaluations of the data and these opinions of the FDA reviewers. We sometimes find that FDA review stats have expressed serious concerns about a particular drug and in some cases have recommended against agency approval. But nevertheless the agency, at a more senior level, went ahead and approved a drug. That's kind of a red flag for you right there, when you start seeing some of that. It absolutely is. An example, recently a drug we're trying to get off the market called Aricept 23 – a drug that is used to treat Alzheimer's disease – we don't believe it is very effective for that and that it has significant toxicity. And it was a drug that multiple FDA reviewers in their reviews recommended that it not be approved because of its toxicity and limited to no additional benefit in comparison to the drugs it was being compared to. In that instance, what do you think contributes to the drug being approved and released anyway? Is it the pharmacy lobby that gets this pushed through, even when as you mentioned FDA reviewers are themselves, kind of like, I don't know about this drug. It might not be effective or safe. We believe that all too often the FDA is tilted more toward industry than the protection of the health of consumers. Part of the culture is that much of the FDA funding, particularly for review of new drug applications, comes through user fees where drug companies have to pay hundreds of thousands (or) millions, of dollars to get their products reviewed. Those user fees have been in place since 1992. And with the implementation of those user fees we believe that drug companies have essentially become clients of the FDA and there is, unfortunately a tilt or a bias toward trying to satisfy the main money suppliers of the agency. We've always opposed user fees. We think that congress should be supplying direct funding for the agency so that it's completely independent. But that is currently not the case, and unfortunately those user fees are going to be with us for the foreseeable future. Public Citizen also released another very troubling thing where the FDA advisory committee chair is actually going to be coaching drug companies on how to get their drugs approved. That's horrific, in my opinion. The founder of our group wrote a letter to the commissioner of the FDA raising serious concerns that a current chair of one of the FDA advisory committees is going to be one of the lead faculty members at a conference targeting industry drug company employees and teaching them ways to get their product through towards approval, through the FDA advisory committee process. We think that relationship is unseemly and demeans the process. So we think that person should either withdraw from being a faculty member on that conference board or should step off the advisory committee. We discussed before, advocacy is sometimes a very tough job to do. What kind of difficulties does Public Citizen face when you're trying to advocate for dangerous drugs or devices to be banned or pulled? There's probably a lot of red tape you've got to cut through to get these things going. I think the main probable is that once a drug gets approved by the FDA, the agency is very reluctant to withdraw approval. It frequently acts much too slowly in the face of accumulating evidence that a drug is unsafe. 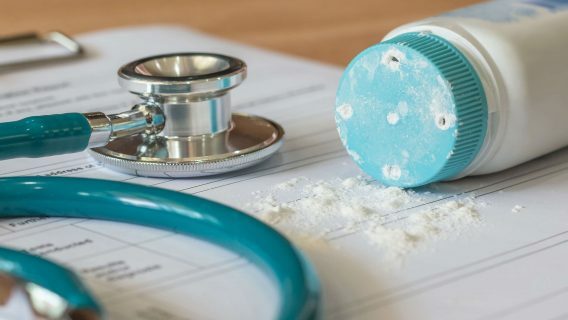 It's important to recognize that before a drug comes to market, we really have little information about its safety because the drugs are only tested on limited numbers of patients of maybe only several hundred or a few thousand. And of relatively short durations, particularly for drugs that are intended to be taken for a lifetime like blood pressure medication, diabetes medication and medicines to lower cholesterol. It's only after a product comes to market that millions of people are being exposed to it for prolonged periods of time. Many times the population of the people taking it varies from those who were in the clinical trials. It's only in that setting that we begin to learn and accumulate information about new risks and safety information. And unfortunately the FDA is very slow to act in the face of accumulating evidence. One of the reasons that is, I mentioned already, the FDA's reliance on user fees from the pharmaceutical industry essentially creates a company-client relationship, and the agency is tilted to satisfying the industry rather than protecting public health and so they'd be reluctant to withdraw something from the market. Many times the same people who approve the drug are going to be the same people who make the decision to take it off, or be involved in the review of our petition. So there is a conflict of interest there, to say a drug should come off the market particularly when the evidence may have existed prior to approval, many times it does, when we write our proposals we find evidence of concern being raised before approval. Those who approved it may not want to admit they made a mistake in the first place. Why would you go back on what you said before, when you approved it? No one wants to look bad. Exactly. Another problem is that Congress has passed laws which allow the FDA to approve drugs with lower levels of evidence. In some cases smaller numbers of trials, smaller trials themselves with less subjects, less patients in the trials being tested. Congress has created pathways that expedite drugs coming to market with less information about their safety and effectiveness. And once things are on the market the threshold for getting them off the market is very difficult. Let me bring up and example: the Type 2 diabetes drug Avandia. This thing has been controversial since it came out. I know that Public Citizen is trying to get this off the market. At first it looked like the FDA was putting tighter regulations on it, was concerned about it, and then they release an announcement that says, it's not as dangerous as we thought so we're going to relax the regulations. Is that an example of this flip-flopping mentality that they have sometimes with the drugs? It is. I think the Avandia story is fascinating. Avandia is a drug for treating Type 2 diabetes. It was approved by the FDA in 1999. It's a drug that is a member of a class of drugs sometimes refer to as the glitazones. Our efforts relating to the safety concerns of this drug began back in 2000 when we first petitioned the FDA to strengthen the labeling for this drug and two other similar drugs, apresoline and actos, which are in the same family of drugs. We want stronger warning labels to disclose side effects relating to liver toxicity, heart toxicity, problems with weight gain and swelling and elevated cholesterol levels. While some of those additional warnings were added to the label the product remained on the market. Finally, back in 2005 we actually in our Worst Pills, Best Pills book, we urged readers to not use this drug anymore. We thought it was too dangerous, that the benefits did not outweigh the risks. And in 2007 the FDA had a hearing on the safety of the drug. And we testified at that meeting urging that the drug be removed from the market. In 2008 we formally petitioned the FDA to ban the drug. When you compared Avandia head-to-head with other oral medications for Type 2 diabetes, Avandia was not as effective at reducing blood sugar levels as the other drugs. Many patients, when you switch them from some of the other medicines that have been on the market previously and for longer periods of time, when you switch them to Avandia their control of their diabetes deteriorated. Not only was it kind of dangerous with the risk factors, it wasn't as effective. There was no special benefit, and, if anything, it appeared to be less effective. That's on the benefit side. 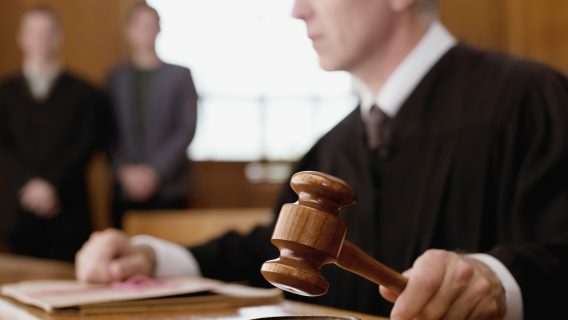 And then when you weigh the risks, which included clearly documented cases of liver failure, although uncommon can be serious and life threatening, heart problems with heart attacks, possibly strokes, and there was also problems with a condition that could threaten your vision, toxicity of the eye. It made no sense in our view for this drug to be on the market given the variety of other diabetes drugs that are clearly safer. Unfortunately the FDA in 2011 rejected our petition, but they did place significant restrictions on who could use the drug and which doctors could dispense it. The use of the drug has fallen significant but it still remains on the market. You mentioned is the FDA flip-flopping. They did indeed convene another advisory committee which did consider data that was a re-analysis of prior data studies that led to the prior restrictions. They contracted out with researchers at Duke University to re-analyze prior data that had led to some of the concerns, and the re-analysis suggested that maybe the drug isn't as bad as we thought. So they convened an advisory committee to look at the drug and consider whether they should leave the restrictions as they were or loosen the restrictions, or should they even make them more strict or even remove the drug. Unfortunately, a majority of the panel sort of leaned toward loosening restrictions. We think that should not be the way to go. Clearly there is evidence that this drug has a variety of toxicities, and there is no unique benefit. If anything, we should be removing it from the market not loosening restrictions. The FDA hasn't signaled what they are going to do at this point. We will obviously be disappointed if they do anything that lowers the bar in getting this drug to patients. They haven't actually committed to what they're going to do yet. That's another interesting thing, they'll always do these committees and it takes a long time for them to make any kind of decision. In the meantime though, the drug remains on the market, people are still taking it, still being prescribed. I always find that interesting; how many adverse effects does something have to have before they think it's a problem. Sometimes they will ban or restrict a drug that no one has ever heard of, and the ones that are being used by a lot of people almost seem to have less restrictions, which I find interesting but I guess that's the relationship perhaps between the funding and the actual safety job that they've got. What was interesting in this case was the maker of Avandia wasn't seeking the advisory committee review or seeking to change the restrictions on the drug. The FDA did this on their own, which is surprising. There's no great push to have this drug resurrected in any way. It's not clear why the FDA was doing that. Some have suggested that the FDA is trying to save face to justify that the original approval wasn't as bad as it seems to justify prior actions in approving the drug in the first place. On the topic of Type 2 diabetes medications, a lot of them seem to be pretty problematic as far as safety and effectiveness. Another drug that Public Citizen is involved with is Victoza, which of course is a completely different class of drugs than Avandia. Victoza and several similar drugs in the same class are out there as well, but Victoza seems to be the one that you all are focused on. Can you explain why Victoza seems to be the one that you have decided to spearhead? Victoza, which also goes by the name liraglutide, is another of these drugs for Type 2 diabetes. Unlike Avandia, which is a pill, this a drug that has to be injected like insulin. We did indeed petition the FDA in April 2012 to ban this drug. In our petition, we noted a variety of issues. First of all, testing of the drug in animal studies before it was tested in humans – and this included studies in mice and rats – showed that there were thyroid cancers occurring more often in animals given this drug and this signal had not been seen with other similar drugs, so it was unique to Victoza. Because of this signal of cancer occurring in animals the FDA's own pharmacology reviewers concluded that it should not be approved. The reason for doing drug studies in animals before doing them in humans is to look for signals that they may cause cancer. Here we have an example where a cancer signal was seen and the FDA went ahead and approved it, sort of ignoring the advice of its own pharmacologists. That's one concern. When you look at the human clinical trials, although the data isn't definitive, there were more cases of a type of thyroid cancer called papillary thyroid cancer in subjects who were treated with liraglutide vs. the control patients who didn't get it. So there's this cancer signal that we were concerned about. And then another major concern about the drug is its toxicity to the pancreas. So, this signal was seen before the drug was approved and when you look at the clinical trials there were more cases of pancreatitis in patients treated with Victoza then those getting the control treatment. The clinical safety reviewers noted that this indeed might be a class effect of these drugs, given that another drug, Byetta, also had signs of pancreatitis. For these reasons, the evidence seems strongest and the safety concerns. That's why we went after Victoza and liraglutide at this time. Do you study the rates of adverse events that are being reported to the FDA, as a post-market sort of thing? I know they keep track of that. Does Victoza seem to have more incidences of adverse events than a lot of the others in the class? In terms of the pancreatitis signal, analyses of adverse events reported to the FDA, in our view, suggests that this risk is probably occurring among other drugs in the family, but it is quiet strong, we believe, with Victoza. There is certainly reason to believe there may be a class effect here, that all these drugs work through a similar mechanism. They all perhaps have the potential to effect the pancreas in various ways including causing what could be a life threatening problem – pancreatitis, inflammation of the pancreas. In a lot of these studies the doctors were concerned that pancreatitis can lead to pancreatic cancer. I guess that's another concern. There was a very intriguing study published in the last year by researchers from UCLA and the University of Florida, in which they looked at pancreases that were harvested from organ donors. And in this study, they looked at pancreases from two groups of people who had died – diabetics who had been taking these types of drugs like Victoza vs. non-diabetics. They looked under the microscope at pancreases from both groups and they found significant and impressive changes in the pancreases of those people taking these drugs. The number of cells were expanding. The size of the cells were expanding in the pancreas, suggesting other abnormalities that might be associated with tumor formation. Again not definitive, just another piece of evidence suggesting consistently that these drugs appear to have pancreatic toxicity. We talked a lot about drugs. Obviously Public Citizen is really involved in drug safety, but you also mentioned that Public Citizen tries to watch over medical devices. And we've had some instances: surgical mesh, and faulty hip implants. The way that medical devices are approved, it's the 510 (k) approval process, which basically says that the companies can get something approved and put out on the market just by saying they are substantially equivalent to devices that were put out before. You and Dr. Wolfe both mentioned that this is sort of an uncontrolled experiment, that people are being tested on these devices that have never been tested before they were sold. Can you talk more about the approval process of the FDA? Medical device regulation came into existence in 1976 with the Medical Device Amendment to the Food Drug and Cosmetic Act. Under that act, medical devices were divided into three categories, simply categorized as Class One, Two and Three. Class One, the lowest end of risk like Band-Aids and pressure cuffs. ClassThree devices are the highest risk devices like heart valves that would be implanted in open heart surgery. And Class Two is sort of an intermediary category. Most moderate to high risk devices, including devices that are intended to be permanently implanted such as artificial joints, or devices that are intended to be life supporting or life sustaining are cleared through a process called the 510 (k) pre-market clearance process which you referred to. It isn't even considered an approval process. They call it a clearance process. For those devices that are actually handled by the class 3 route, the company has to submit what is called a pre-market approval application, and with that they have to provide evidence, usually through clinical trials, showing that the device is safe and effective. Unfortunately, only a minority of devices go through that. Most device go through the 510 (k) pre-market clearance process for class 2 and under that process few of the devices undergo any clinical testing in human patients before they are marketed. Instead, as you noted, the manufacturer only has to show that the device is a substantial equivalent to another device already on the market or previously on the market, which itself probably came to the market through that same process and wasn't tested. There could be a series of these devices over a period of years. Device A comes on the market first. Device B is compared to A and is approved for marketing. C based upon B. And so on. Over a period of decades, you get Device Z, and it may be significantly different from that original device because there can be drift in the nature of the technological characteristics of these devices. Particularly in the case of surgical mesh, a lot of those products were approved based on products that may already have been recalled or pulled from the market. Yes, because of safety concerns. And that is really unacceptable. We don't think that devices intended to be permanently implanted or life supporting or life sustaining should ever come to market through this process. We think they should undergo the pre-market approval process, undergo appropriate clinical testing like drugs before they come to market in order to assure that they are safe and effective before we expose large numbers of patients to them. And it is notable that in 2011 a committee was convened by the prestigious Institute of Medicine at the request of the FDA to assess the 510 (k) process. And they concluded that the 510 (k) process could not provide adequate assurance that devices are safe and effective, and that a new system needed to be developed. Unfortunately, almost upon the day that report was issued by the Institute of Medicine the FDA sort of downplayed its findings and signaled that they had no intention of doing away with the 510 (k) process. So it looks like we're stuck with this for quite some time . . . we can only speculate why they do this. It's probably related to the user fees. And another problem is that Congress, every five years they renew the user fees. Every time they reconsider the user fees they look at other changes they can make to the regulations. Congress passes laws that seem to weaken the standards. We believe that that is a recurring problem. We believe that there are uncontrolled experiments going on, and what that means is that we have these devices that are not tested in any human beings to show that they are safe and effective. They come to market, like the metal-on-metal hip implant, the mesh products to prevent pelvic organ prolapse, and all of a sudden, for the first time, we are exposing tens of thousands, hundreds of thousands of patients to these products. It's only then that we are learning how safe and effective they truly are in humans. That's why we refer to these as uncontrolled experiments because we learn only after the fact through poorly designed ways of learning about the safety of these products. And patients don't know about these approval processes and clearance processes, as we mentioned. Most people would assume that if something is sold it has already been tested, that it is already safe. I think that is probably one of the worst things about this process. The general public is probably not aware of the processes these drugs and devices go through.